NATO allies, especially Greece, must be alarmed by recent promotions of neo-nationalists in the Turkish military with the approval of President Recep Tayyip Erdoğan, who has relentlessly been pursuing mass purges of NATO and pro-Western officers with no let-up in sight. 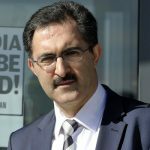 The promotions further confirm the view of a sinister agenda pursued by the ruling Islamists and their neo-nationalist allies in stacking the officer ranks with partisans, loyalists and anti-NATO members after a purge of 15,242 members of the Turkish military within the last two years. So far, this unprecedented purge has resulted in the dismissal and/or jailing of 150 generals and admirals, 7,602 officers of various ranks and 5,744 noncommissioned officers. Considering that many of those purged are staff officers who run the Turkish military at the coordination and planning levels, the backbone of the Turkish army was dealt a huge blow. The charges range from membership in a terrorist group to involvement in a failed coup bid. The government claims seem to defy simple logic. If only one-tenth of these people were actually involved in the failed coup bid of July 15, 2016, which was nothing but a false flag operation by Erdoğan, there would have been zero chance of the government thwarting the attempt given the sheer number of troops these officers had under their command at the time. Most had nothing to do with the putschists at all, and some actually fought against the coup plotters. The arrest of the F-16 pilots who escorted the Turkish president’s plane on the night of the coup and protected him makes it clear the purge is not related to the stated claim of prosecuting putschists. Let’s remember that almost all officers who were deployed abroad on a NATO mission and were away from Turkey at the time were hastily called back and arrested upon arrival. The recent act by Erdoğan in promotions lays bare the naked truth of what the real motivations of the government are and what is really going on within NATO’s second largest army in terms of manpower. On Aug. 2, 2018 Erdoğan signed decree No. 2018/53 promoting 30 officers in the Land Forces, 11 in the Naval Forces and nine in the Air Forces. Among those who received elevated ranks were Navy colonels Mustafa Turhan Ecevit (51) and Ercan Kireçtepe (51), who will be rear admirals as of August 30, 2018. Both officers were previously arrested and tried on serious charges of running clandestine operations after a large weapons cache was discovered in a forested area of the village of Kaynarca in İstanbul’s Beykoz district. He and his conspirators were saved by Erdoğan in the aftermath of corruption investigations that were made public in December 2013, and their crimes were quickly hushed up as part of a secret deal Erdoğan struck with the neo-nationalists. As a result not only were these two unsavory characters, who actually brought Turkey to the brink of war with Greece during the Imia/Kardak crisis in 1996, allowed to assume their previous rank, but thousands of pro-NATO officers were hastily sacked on dubious charges to make room for both Islamist and neo-nationalist groups. 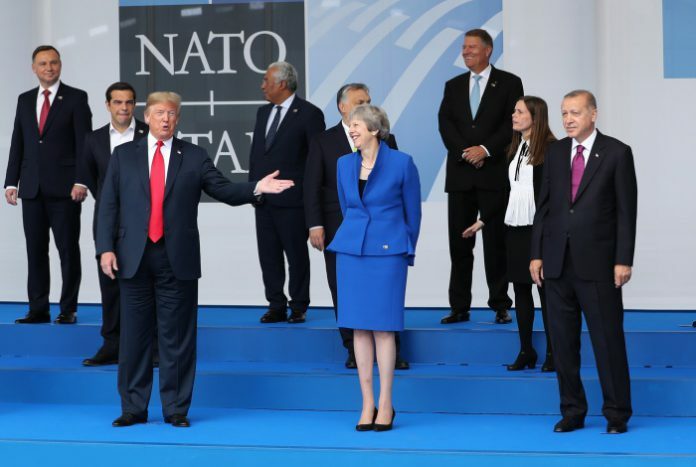 Unfortunately, NATO simply looked the other way when all these alarming events were unfolding and weakening its southern flank under the watch of Jens Stoltenberg, a Norwegian politician who has been serving as the secretary-general of NATO since 2014. The picture becomes crystal clear when the track record of these two colonels who were made admirals by the Erdoğan government is examined. On Feb. 2, 2009 the police found buried explosives that included 27 TNT explosive blocks, around 100 grams of plastic explosive, a 155-centimeter-long detonating cable and three electrical fuses. A tip sent to the police on Feb. 23, 2009 claimed that the explosives stashed in the forest were buried there by a specially trained navy seal team led by retired major Levent Bektaş, who was intent on using them in secret operations that were not sanctioned by the military chain of command or the civilian authority. Bektaş’s cell was composed of officers identified as Ecevit, Kireçtepe, Eren Günay and Erme Onat. As the probe widened, more co-conspirators were named in the indictment including Ergin Geldikkaya, Ferudun Arslan, Halil Cura, Ali Türkşen and Sadettin Dogan. A fresh tip sent to the police at the time led to the discovery of more weapons and explosives buried in the village of Poyraz in the Keçilik neighborhood on April 21, 2009. The stashed cache comprised 21 light anti-tank weapons (15 were loaded and some of them had their serial numbers scratched off), 14 hand grenades, 450 grams of C-4 explosive, seven booby traps, detonating cable, fuses, smoke bombs and a large amount of ammunition. 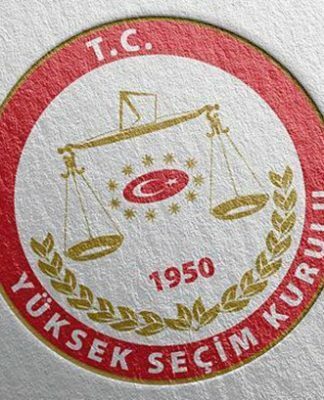 Wiretap records obtained by court warrants as part of the prosecutor’s investigation showed Kireçtepe was closely involved with the team members and discussed rumors of stashed weapons and explosives with other suspects on the phone or arranged personal meetings to discuss the issue further to avoid being wiretapped. During the execution of a search and seizure warrant on his home in the Beykoz district, investigators found instructions on how he and others in the plot should provide false testimony and level unfounded accusations against the police to prepare the groundwork for a mistrial based on claims of flaws in the Code on Criminal Procedure. When asked by the prosecutor about these notes, Kireçtepe denied they were his and claimed he borrowed a book from a friend and that the notes might have been left in the book by him. Police also questioned him about a dozen gun parts in plastic bags, and he said he had found the gun parts in an old US Navy ship docked at Turkey’s Gölcük navy yard. A separate investigation was launched into him by military prosecutors for possession of navy materiel in his home without authorization. The shocker in the investigation came when investigators found a secret plot called the Cage Operation Action Plan with his signature on the document. 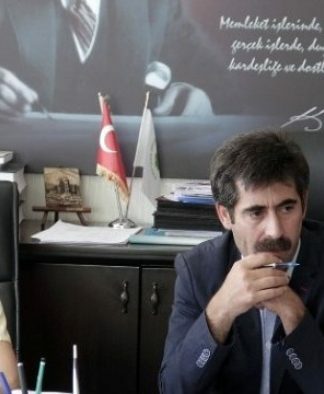 The document, seized from the office of retired major Bektaş revealed how this group that included Ecevit and Kireçtepe was plotting to stage murders and bombings to target non-Muslim community members in Turkey in order to to wreak havoc and foment chaos. In the action stage, 10 plots were planned to instill fear among minorities and included plans such as detonating bombs in the neighborhoods of several islands off-shore from Istanbul populated by non-Muslim residents, the assassination of leading people who advocate the rights of minorities, detonating stun grenades within the vicinity of the Turkish Armenian community newspaper Agos, leaving suspicious packages in various locations for people to call in bomb squads, planting explosives in harbors where ferries operate to islands where minority groups live, staging provocative acts in the cemeteries of non-Muslim communities, kidnapping one or more celebrities or businesspeople from these communities and torching homes, offices and vehicles belonging to non-Muslims. The plan envisaged similar attacks in the western province of Izmir where non-Muslim minorities also live and shifting the blame to the Islamist groups that would claim these attacks. The public learned the details of the plot when top-notch investigative journalist Mehmet Baransu, who has been in jail for 1,252 days now on fabricated charges, revealed some of the details in the Taraf daily, which was shut down by the Erdoğan government. The plot showed that a rogue group set up within the navy involving some retired officers as well as active duty officers aimed to cause chaos in Turkey with high profile assassinations and other acts. Kireçtepe was designated as the Marmara regional commander of the plot, and his signature appeared in documents as “Acting Commander for the Special Operational Force.” During his testimony he said the signature looks like his but denied signing the document. Yet a forensic report dated Nov. 20, 2009 after an examination by the police’s criminal lab concluded that the signature was most likely authentic. Panicked by ongoing probes and the discovery of the ammunition, Kireçtepe dumped hundreds of rounds of bullets he and his colleagues had stashed from a naval vessel during a military exercise in the Aegean. But the incident was witnessed by the crew, which led to an investigation by military prosecutors from the Northern Sea Naval Command. He was indicted on July 23, 2009 on charges of stealing and hiding military materiel, and a trial was launched against him and his colleague, navy captain Özgür Kaya, who helped him throw the stashed ammunition into the sea. When caught, Kireçtepe claimed he was targeted by foreign powers because of his role in the Kardak/Imia crisis. In the end, he was charged by civilian prosecutors on five counts including belonging to a terrorist group and possession of explosive materials without a license. Like Kireçtepe, Col. Ecevit was incriminated in the same investigation. He was a navy lieutenant and instructor at the Marine Underwater Offense Unit (SAT) when he was arrested on Sept. 22, 2009. Although he was released pending trial on Jan. 8, 2010, his promotion was held up because of the seriousness of charges leveled against him. He provided conflicting accounts during depositions and on one occasion perjured himself when asked whether he knew retired Col. Mustafa Levent Göktaş, who was sentenced in 2013 to a lengthy jail term. His phone records showed him talking to Göktaş 30 times. He was safeguarding his unruly people on the SAT teams. For example, in a wiretap dated April 17, 2009 Ecevit told Bektaş about an incident where one of his thugs was involved in a quarrel with his commanding officer at the base and how he put a gun in his mouth. Erdoğan’s secret deal with neo-nationalists led by Doğu Perinçek landed Ecevit a commanding position in SAT, the special operations unit of the Turkish Naval Forces, in August 2015. Kireçtepe became his deputy and number two in the SAT command. Ironically, the other suspects in the case, Bektaş and Türkşen, were present at the handing over of command ceremony. Let’s recall that Türkşen was the commanding officer of the SAT team that raised a Turkish flag on the disputed Kardak/Imia islet in 1996 that nearly brought Turkey into a war with Greece. Ecevit paid his dues to Erdoğan when he played a crucial role in false flag coup bid during which SAT teams were deployed on his orders to secret missions both in Izmir and Ankara. 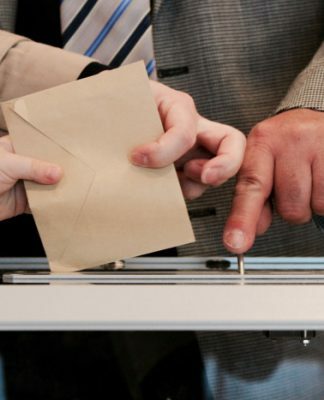 It turned out that the teams were mobilized to give the appearance of an actual coup attempt and a fake assassination attempt on Turkish President Erdoğan in Marmaris. 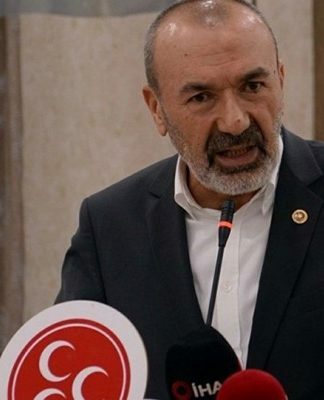 During the show trial for the alleged assassination plot by SAT teams at the Muğla 2nd High Criminal Court, Lt. Özay Çöder, a defendant in the case and the commander of the SAT team that was deployed to Akinci Air Base in Ankara, revealed that he received his orders for the mission from Ecevit, the commanding officer, who said mission details would be provided upon arrival at the destination. Although Ecevit denied giving such an order, he had to admit he did not answer repeated calls from Lt. Çöder on the night of the coup when cross-examined by defense lawyer Ayten İzmirli. Apparently realizing he had been set up, Lt. Çöder was unsuccessfully trying to reach Ecevit on the coup night. 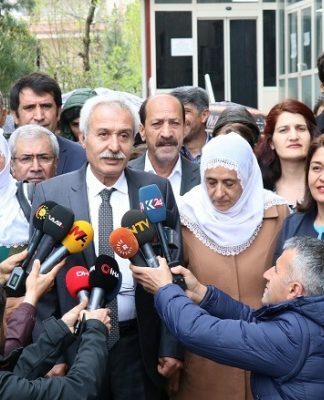 Pressed further by İzmirli to explain the reasons for Ecevit not responding to the lieutenant’s calls, Erdoğan’s lawyer in the courtroom protested the questions, and presiding judge Emirşah Baştoğ overruled the defense and stripped the lawyer of the right to examine Ecevit in the courtroom. It was clear that neither Erdoğan’s lawyers nor the judge wanted the real facts coming out on the alleged assassination plot. Both Ecevit and Kireçtepe managed to purge dozens of elite SAT officers from the service using the false flag assassination plot as a pretext. The fact that Ecevit personally handed over the names of 15 team members when he tasked Lt. Çöder with an unspecified mission suggests he was setting a trap for these officers who have impeccable service records and distinguished military service. Both men were reportedly involved in running torture centers for detained officers in the aftermath of the coup, and horrendous accounts of abuse, ill treatment and torture were reported from such places of detention. Now the Turkish military has been entrusted to the care of such neo-nationalist figures who are plotting and scheming malevolent plans. During the 2009 investigation into the conduct of Ecevit and Kireçtepe, prosecutors discovered a note that said the clandestine group must occupy key positions within the military to be able to maintain cross-border operations. Among targeted positions included the Greece and Cyprus Planning and Personal Department, which is attached to the Office of the Chief of General Staff, and the Military Intelligence Directorate. The note also listed coded names to be deployed to these offices. Given how emboldened this dangerous group was with mass purges in Turkey, there are now more reasons to be concerned about a potential conflict between Turkey and its neighbors. The Turkish navy is now in the full control of neo-nationalists and Islamists after the purge of 2,592 personnel including 31 admirals, 1,364 officers and 1,074 noncommissioned officers. The picture in other force commands is no different and in fact is worse. Thirty-two generals and 2,059 lower-ranking officers were among the 4,215 personnel who were dismissed from the Air Forces, while 8,201 personnel including 87 generals and 4,179 lower-ranking officers were purged from the Land Forces. As of today, 5,783 officers are currently in prison, while more are facing trials that are being conducted with no transparency and no compliance with fair trial protections at all. Only 466 officers have managed to flee Turkey or in some cases did not return Turkey for fear of persecution and instead sought asylum in NATO member countries. It is a shame that the NATO alliance did not do much to stop this massive transformation that presents a fundamental threat to alliance security and integrity. Not even a noticeable mumbling at the level we have seen for the concern raised over Turkey’s purchase of S-400 Russian long-range missile batteries was recorded for the mass purge of pro-NATO officers in the alliance’s largest army after the US. As a result, many officers justifiably and rightly feel they were let down by NATO, an organization to which they dedicated their entire professional career. History will judge NATO for allowing such a significant threat to go unchallenged.